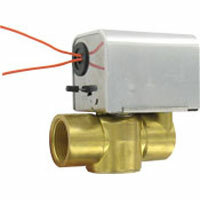 DDA and DDC Series Direct Coupled Actuators are non-spring return actuators that are perfect for positioning of dampers and valves in HVAC systems. 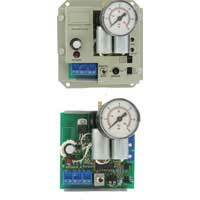 DDA actuators are designed to accept floating control signals and come in a variety of power supplies. 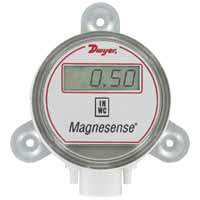 DDC actuators are designed to accept 4 to 20 mA or 0 to 10 VDC modulating control signals and are 24 VAC powered. 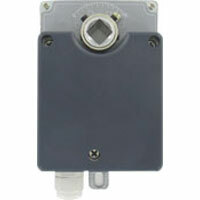 DDC units feature a 0 to 10 VDC feedback signal of damper position. Actuators produce 17 to 70 in-lb (2 to 8 Nm) of torque. Contact factory for optional internal auxiliary switch on DDA. 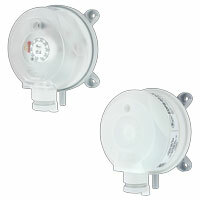 DDA: 110 VAC, 24 VAC, ±10%, 50/60 Hz, single phase. 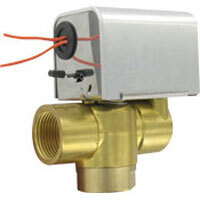 Optional 230 VAC; DDC: 24 VAC, ±10%, 50/60 Hz, single phase. DDA: 110 VAC models: 5 VA, 230 VAC models: 5 VA, 24 VAC models: 3 VA; DDC: 4 VA.
DDA: Two-position, floating; DDC: 4-20 mA or 0-10 VDC. 0.4" (10 mm) or 0.5" (13 mm). 17 in-lb, 35 in-lb, 53 in-lb: 72 sec. ; 70 in-lb:160 sec. -22 to 122°F (-30 to 50°C). (2) imitative baffles, (2) baffle setscrews, (1) actuator body setscrew, and (1) aluminum gasket. Floating control signal on DDA. Modulating 4 to 20 mA or 0 to 10 VDC control signal on DDC. Position feedback signal on DDC.